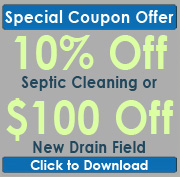 Our septic real estate inspections in Polk, City, FL provide valuable information for our customers. If you’re thinking of buying a new home, you have probably given some thought to the inspection process. Real estate inspections are an important part of the home buying process, but they often leave out a critical aspect. Home inspectors don’t inspect the septic system. To remedy that, we team up with real estate agents in order to fully inspect the septic tank before you buy a home in Polk City, FL. Age of the System- When we conduct real estate inspections for our customers, we determine how old the system is. Well-maintained systems last approximately 20 years, so this gives our customers a good idea of what they can expect if they buy the property. Maintenance Schedule- We also assess the health of the system and determine a maintenance schedule you will need to follow if you buy the home. This includes the tank itself, as well as the drain field and all other components. This helps you determine if caring for the property’s septic system is in your budget. If it isn’t, we can inspect another property for you. If it is, our team can set up a maintenance plan as soon as you purchase the home. That way, you won’t have to worry about the system breaking down on you. At Southeastern Septic LLC, we take real estate inspections seriously, and so should you. Inspecting the house is not enough. Our real estate inspections provide information that a normal home inspector can’t, making us the perfect choice for anyone thinking of buying a home. Southeastern Septic offers reliable Real Estate Inspections in Polk City, Lakeland, Mulberry, Zephyrhills, Bartow, Polk County, Winter Haven, Plant City, and Auburndale.